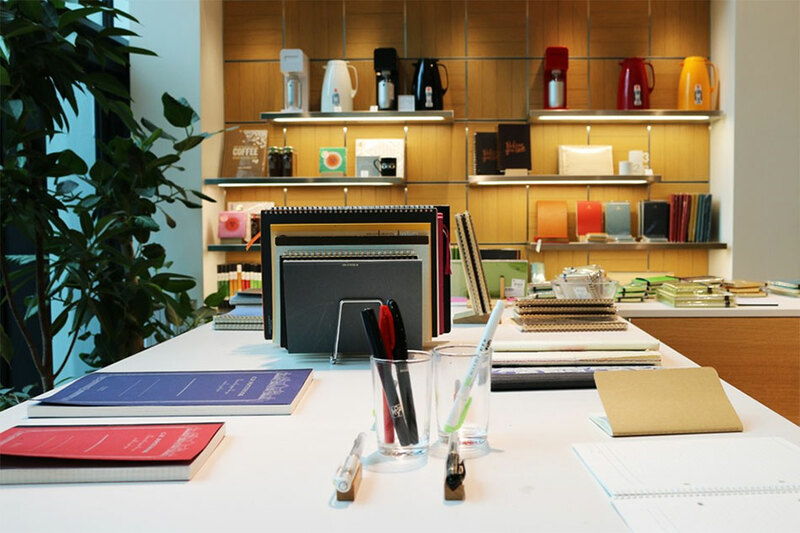 Itoya in Ginza is hands down the best stationary store in Tokyo. 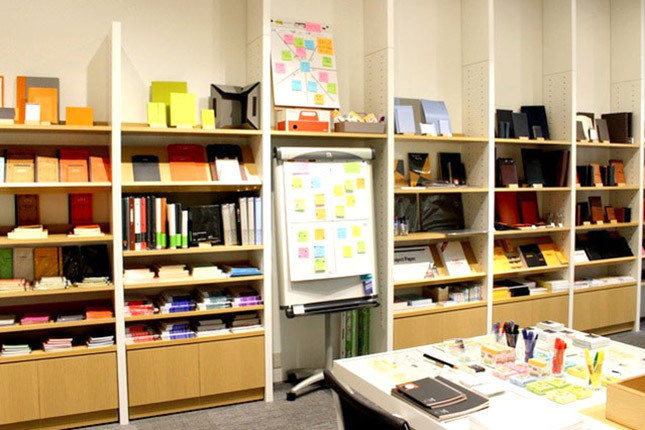 There are 8 floors of stationery and writing products. 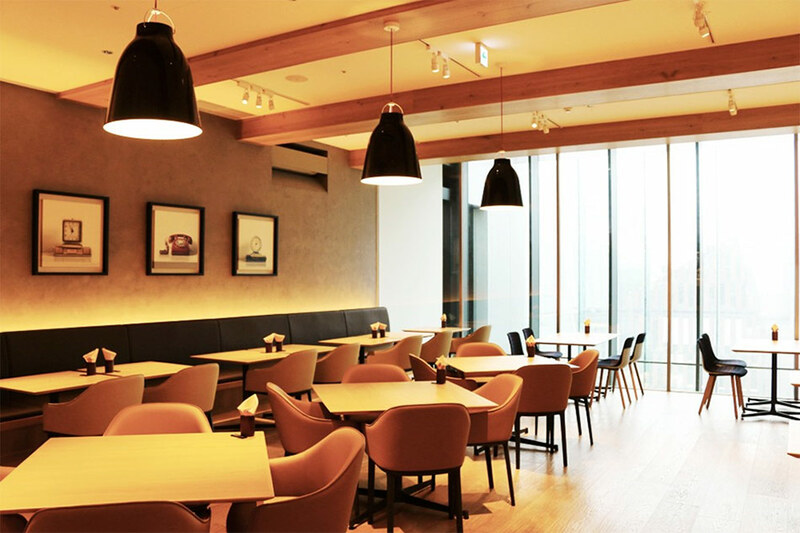 Explore the Ginza district, one of Tokyo’s swankiest and most posh districts, where every square meter of land in the area’s center is said to be worth ten million yen, or over one million USD…. think 5th Avenue, Rodeo Drive or Saville Row. 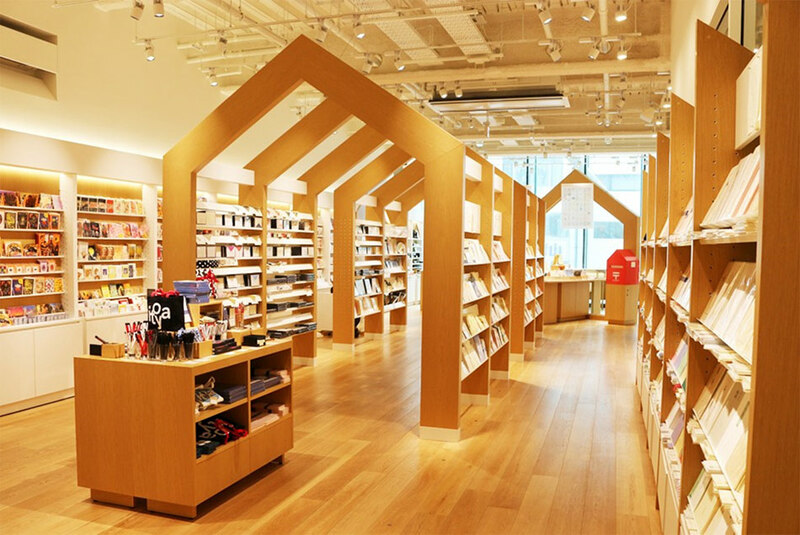 Itoya, a massively impressive stationery store in Ginza, Tokyo, reopened in June, 2015 after going through a large renovation. Right on the main street of the Ginza, established over a hundred years ago in 1904, it is one of the prominent Japanese stores. 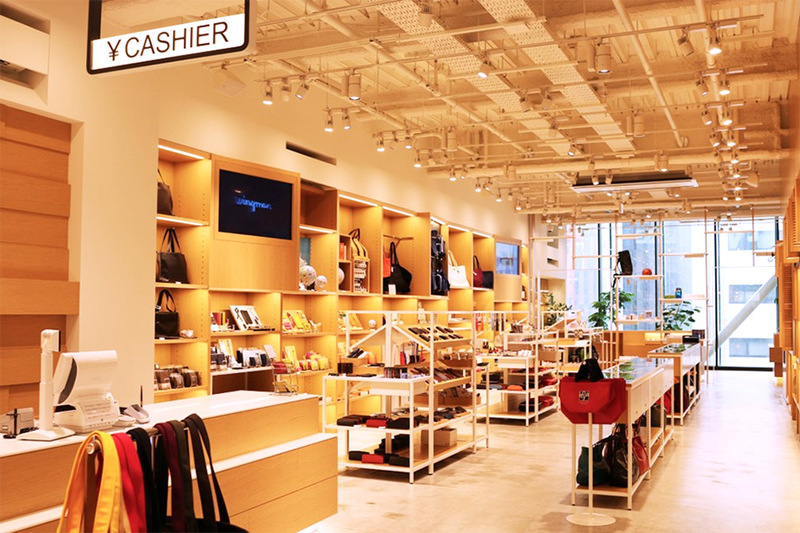 With a rich history, it continues to lead the way in stationary merchandising in Japan. 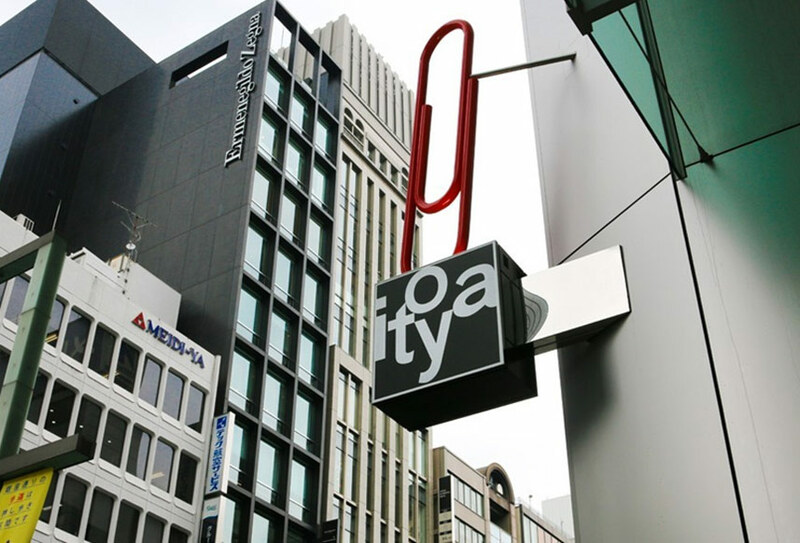 This is Itoya’s main store, but there are eleven other stores across Tokyo and Japan, all part of the corporate Ito-Ya, Japan. Even before you walk through the doors, you get a sense of order in this mammoth store….all 12 floors are listed in order (and their titles) from the bottom left to the bottom right. 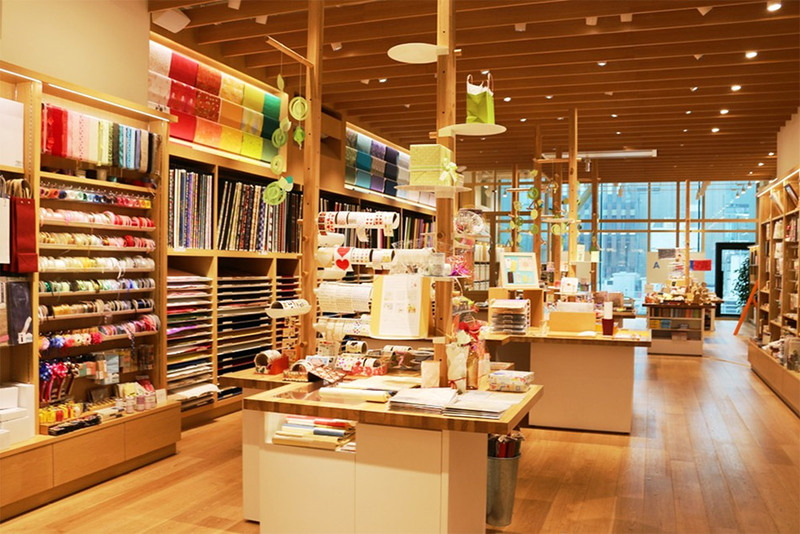 If you have a passion for Japanese stationery, this is your place. Itoya is one of the largest paper store in Japan. Housing eight stories of stationery, it’s a shop that’s popular for it’s hard to find items and authentic Japanese products such as washi paper, calligraphy brushes and origami supplies. 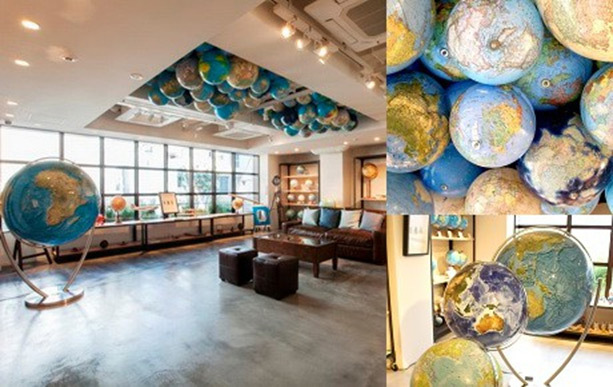 Itoya has not only the best of Japanese stationery goods, but also the world’s best stationery goods…and souvenirs. 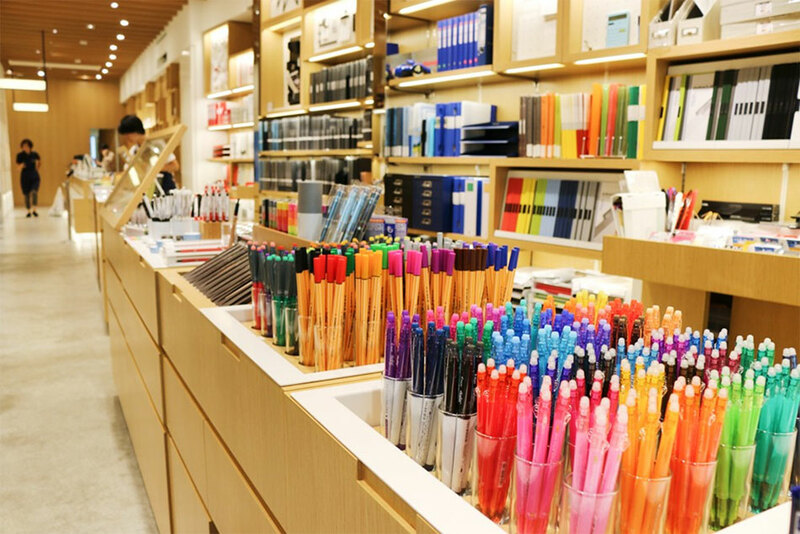 Stationery ranks high amongst the popular souvenirs of Japan. Here one can find general writing instruments, paper products of all sizes, shapes, colors and price levels. 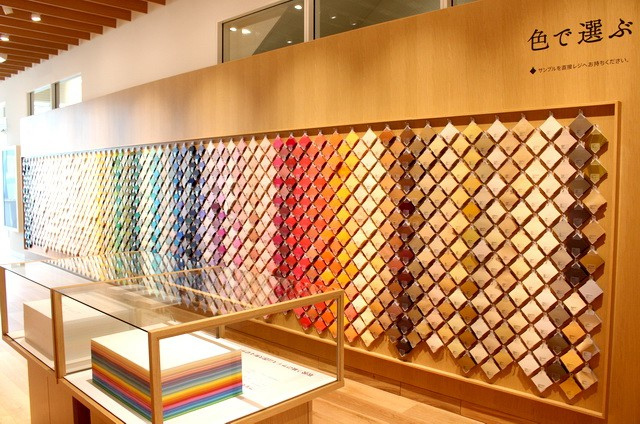 It is a wonderful place to test, touch, and experience all varieties of paper products, pens, inks, anything to do with writing and traditional Japanese paper crafts. Plan on spending many hours here. With eight floors of paper products, there is a plentitude to see, touch and feel on every floor. This is a store for writers, sketchers and dreamers. On the first floor, in addition to a welcome desk, you will find over 1000 imported greeting cards from over the world; some are handmade originals, others are hand painted, interactive, fold-out… made by artists from all over the world, including New York’s creative artists. Each floor of Itoya has a different concept. The SHARE space on the second floor is filled with items for sharing or sending thoughts to another person, such as a letter, paper, envelopes, and postcards. On the next floor there is a pen and pencil floor of about 2,000 styles…a vast range of accoutrements for pen-junkies and endless supplies of smooth paper to try them on. They have opened a new (connected) satellite store for high-end writing instruments in the building right behind the main store. They differentiate the 2 stores, by calling them G.Itoya (12 floors) and K. Itoya (6 floors). Customers looking for a practical item with a fine design, can try out all the writing materials at the DESK space on the third floor. At Itoya, there are about 1,600 types of pens and pencils. On 4th Floor in G.Itoya you can make your original Note Book. If you want a “one-of-a-kind” notebook for yourself or as a great gift, how about an original notebook that can be made at the MEETING space on the fourth floor? The staff will make the notebook with the paper and cover of your choice. 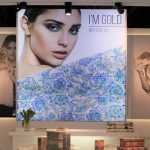 At Itoya, the customers can not only see, but also feel and experience a wide variety of paper. 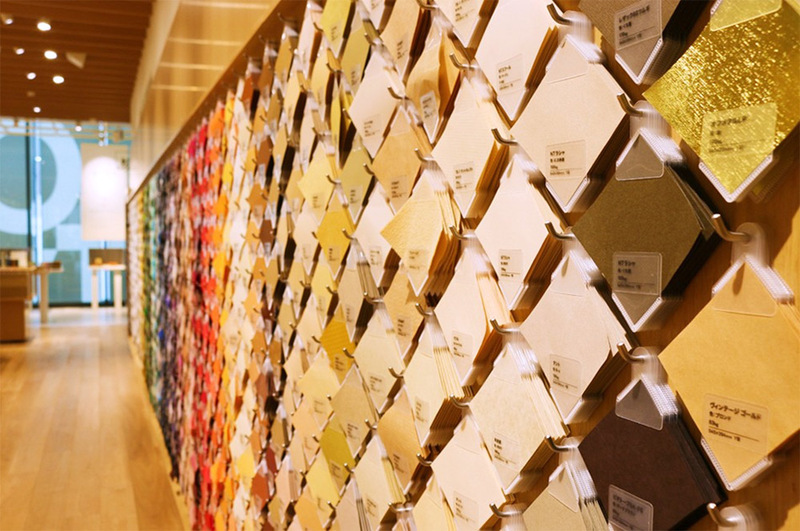 You can see colorful wall which have 1000 kinds of colorful papers. A lot of professionals frequent here… wedding designers, artists, architects and more. 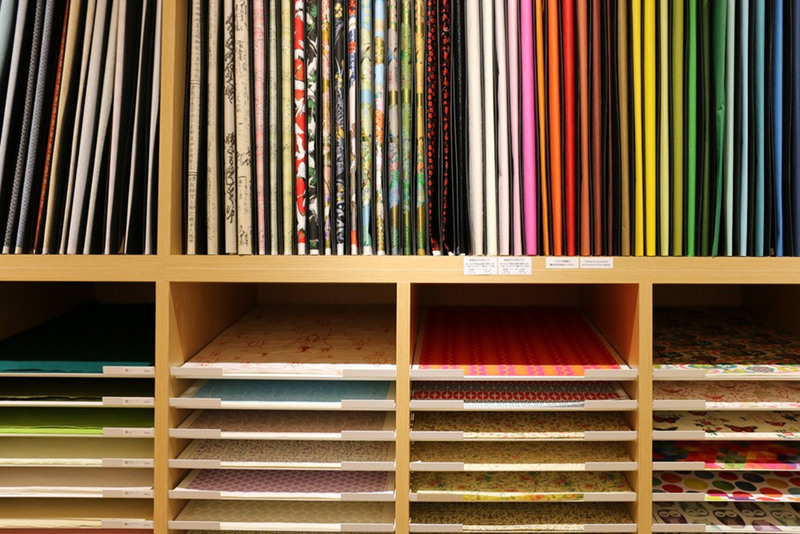 You will be amazed at the types and colors of good quality papers on the 7th Floor in Itoya. It is like a Theme Park of Stationery Goods. Of course Rossi1931 is a favorite here. 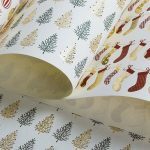 Since the 1990’s, Itoya has proudly carried the best of the line: boxed notes, cards and sheet wrap. says Mariko Tsuruoka, one of the buyers at Itoya-LTD.
You can find various kinds of wrapping and craft-work paper in CRAFT space on the eighth floor. This “washi” (a Japanese paper made in a traditional style) is the most popular item among the tourists who visit Japan. It is the perfect choice to wrap souvenirs. It has long been one of Japan’s most prolific industries. Japanese stationery is known for its quality and innovative products. 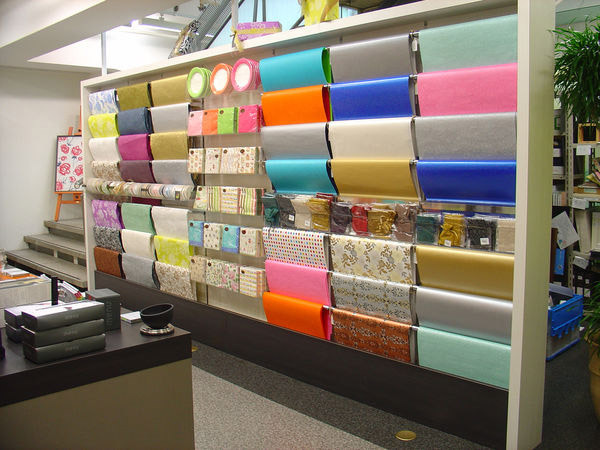 Traditional items such as washi paper are difficult to find outside Japan. At CAFE Stylo, located on the 12th floor, you can enjoy dishes inspired by San Francisco’s food culture. 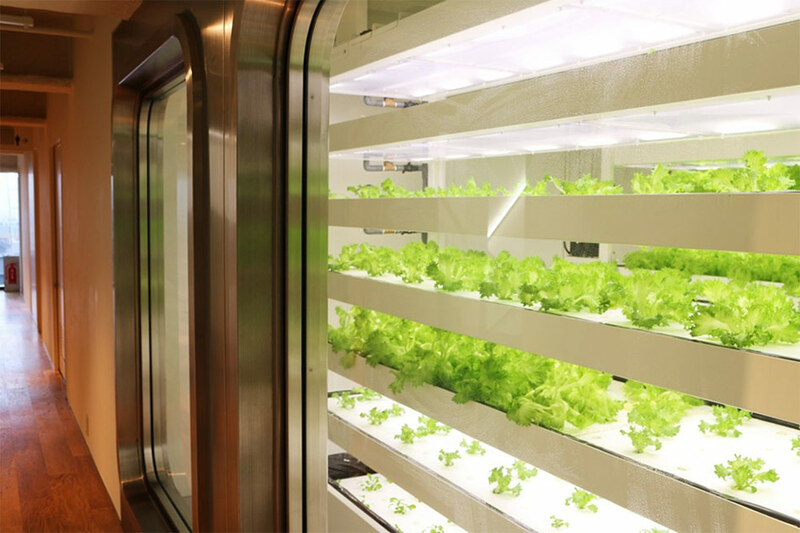 The surprising thing is that Itoya cultivates some of the vegetables used at Cafe Stylo in their “factory” on the 11th floor. Itoya promotes local consumption of local products, and this is how they deliver fresh vegetables to their customers. 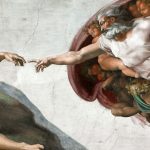 Many say Itoya is one of the best stores they have ever visited, anywhere on earth. or at their website at www.ito-ya.co.jp. 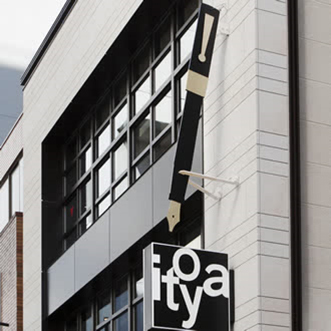 Itoya has their own label of merchandise, including pens, portfolios and journals. You can find them at many retailers including Amazon.